two peas & the dog: food. 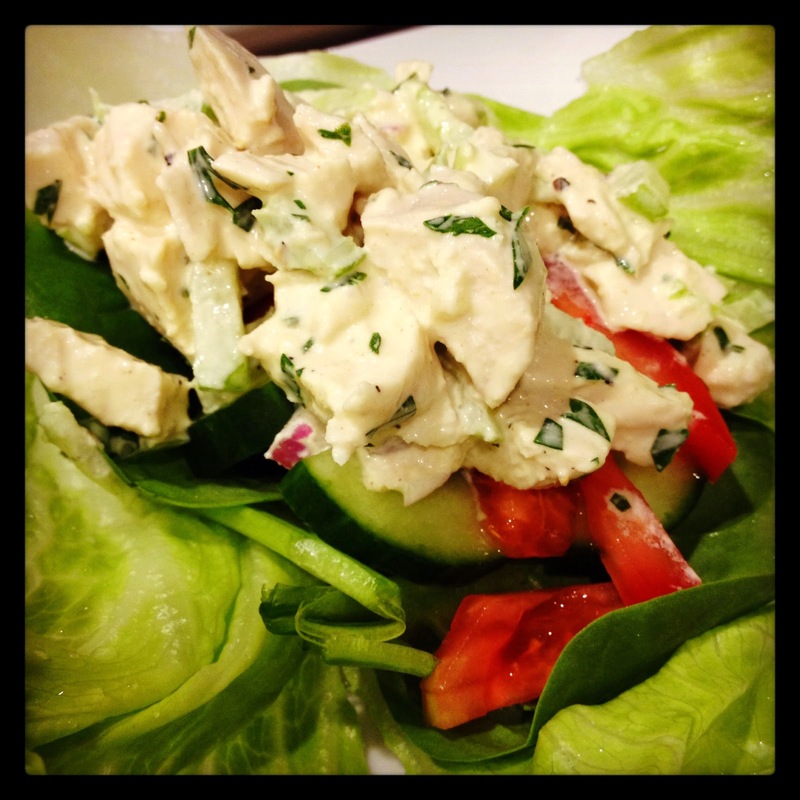 chicken salad wraps. I'm always looking for easy recipes I can prep for lunch so leftovers aren't on the menu all the time. Nate doesn't mind them but I can get to a place where I'm just over a dish...for example, the Chicken Satay Burgers. Don't get me wrong, this dish is really good but when it rotates every 12 days in the menu, it doesn't work for me. Sorry, Nate...you won't see this recipe back in the rotation until next summer. Back to the Chicken Salad Wraps. This started out as something I was going to prep for lunch but after having a bit of a chaotic week, it was something easy for dinner and this was pushed to dinner instead of lunch. Easy and delish, you can add more crunch and/or flavours to this recipe (see my notes below). Enjoy! In a large saucepan, cover the chicken breasts with water. Bring to a very slow simmer and cook over low heat until white throughout, about 18 minutes. Transfer the chicken to a plate and let stand until cool enough to handle, about 15 minutes. Cut the chicken into 1/2-inch dice. In a large bowl, mix the mayonnaise with the mustard and season with salt and pepper. Fold in the onion, celery, parsley and chicken until evenly coated. Cover and refrigerate until chilled, about 30 minutes. Spoon the chicken onto pieces of iceberg lettuce. Top with the lettuce and cucumber, wrap and serve. This recipe was originally for sandwiches. Since we never have bread in the house, we opted for lettuce wraps. Next time I make this, I think some soft white bread would be amazing and adding a kick of something to turn up the heat would be awesome...perhaps some sriracha? I'm a bit obsessed with it right now.